Do you know how effective you are with social media marketing? 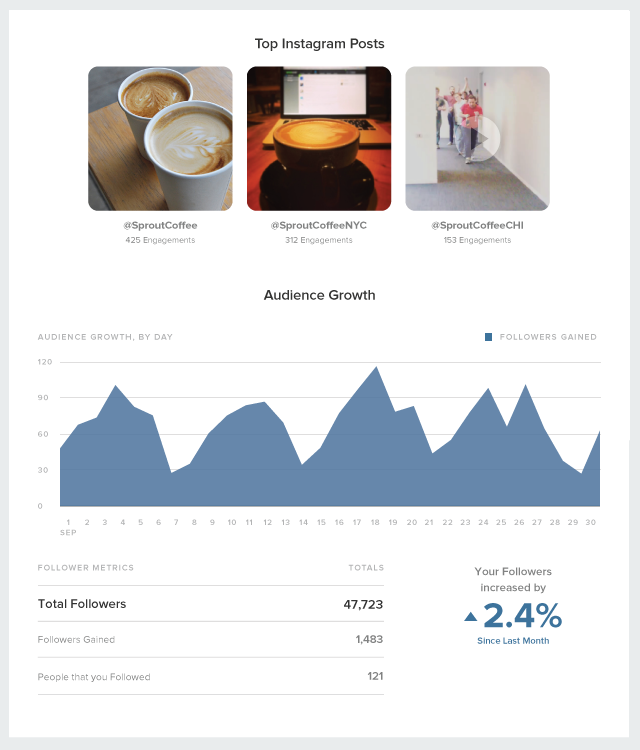 Are your Twitter and Instagram accounts resulting in business growth? How do you know which platform drives more customers? It’s hard to know these answers if you aren’t up to speed with social media measurement. The problem with a lot of businesses is they struggle with actually measuring social media marketing. This is because they either don’t have the right tools in place or realize how beneficial social media data can be. Unfortunately the only metric many businesses measure is their follower count. However, that number alone won’t do much to help you make important business decisions. You need deeper data from tools like Sprout Social and Google Analytics to get actionable information. Your number of followers isn’t nearly as important as knowing exactly who is following you. 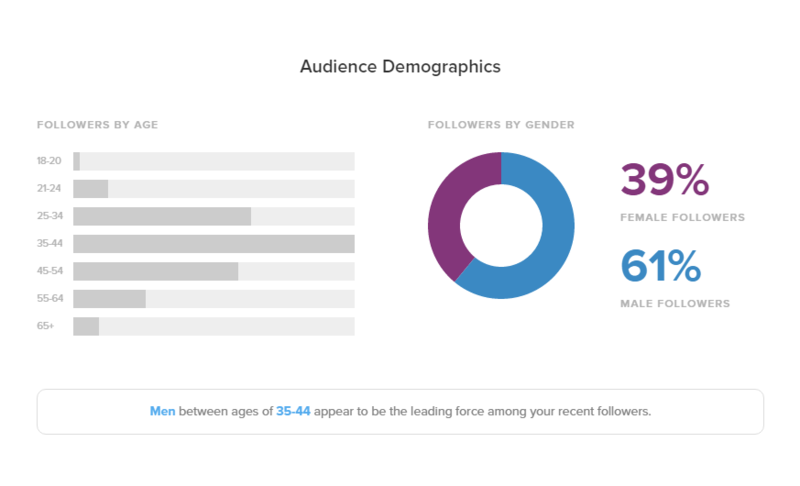 It’s absolutely critical to know your audience demographics. How old is my average follower? 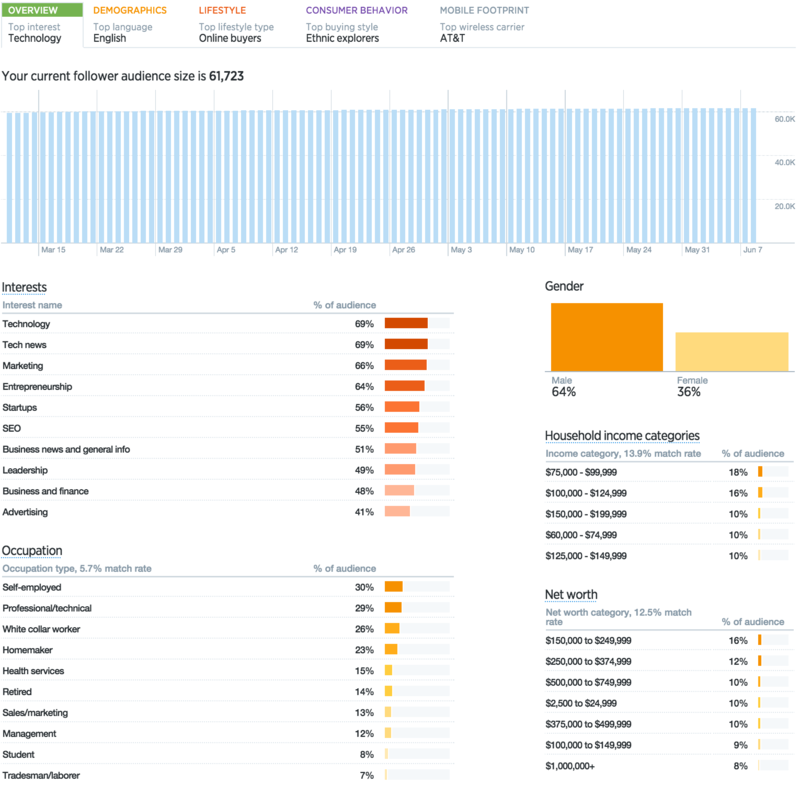 Are my followers mostly men or women? Where are my followers from? Answering these questions allows you to tailor your messaging to your audience. Not only that, but your social media following is a good indicator of your customer base. You can use the data you collect to create new products and services targeting a specific demographic or customer avatar. You’ve probably heard the phrase “content is king” in regards to SEO. Content is also crucial for social media marketing as well. If you’re not posting great content that resonates with your audience, then you’re going to have a rough time generating results. One of the most important metrics you need to track is the social media engagement of each post. You should know exactly which Instagram and Facebook posts are generating the most engagement. Once you know which posts people resonate with the most, you can create more of it. Maybe a certain headline formula you use catches readers’ attention or perhaps you notice your most popular Instagram photos all use the same filter. Look for any sort of patterns and similarities with your top social media posts and try to replicate it with future content. One of the most common questions business owners and social media managers ask is “when is the best time to post on social media?” The answer depends on your audience. If you don’t have a social media measurement plan in place, you’ll have to rely on your best guess. Why guess when you can get hard data that shows you exactly when to Tweet or post to Facebook? All you have to do is find your social media posts that have the most engagement, then look at what time they were sent out. Hopefully, you’ll notice a pattern in either the days or times these posts were made. 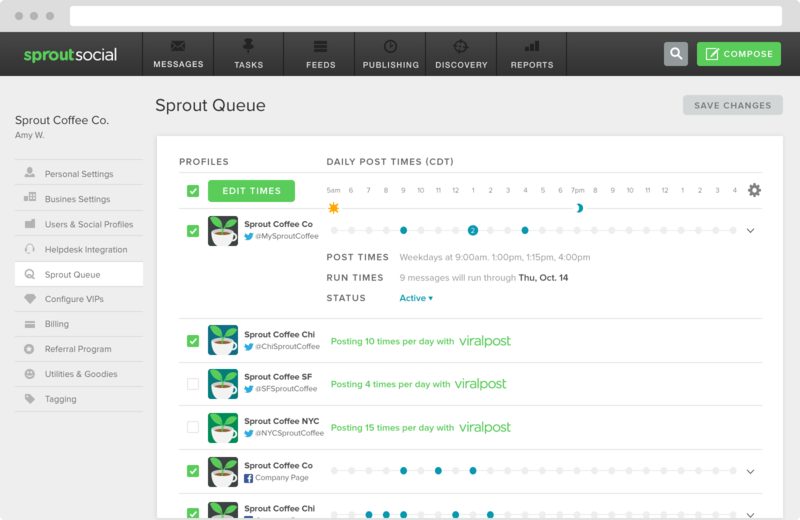 Figuring out the best time to post on social media is even easier with Sprout’s ViralPost feature. Instead of manually looking through your past social media posts to find patterns, ViralPost does the hard work for you and automatically schedules your posts to be sent when your audience is most active. Don’t make assumptions on when you should post. Look at your social media analytics and you’ll find the answer. Sometimes you’ll notice a correlation between your most popular hashtags and your best performing posts. Using the right hashtags on Instagram can instantly expand your content’s reach. 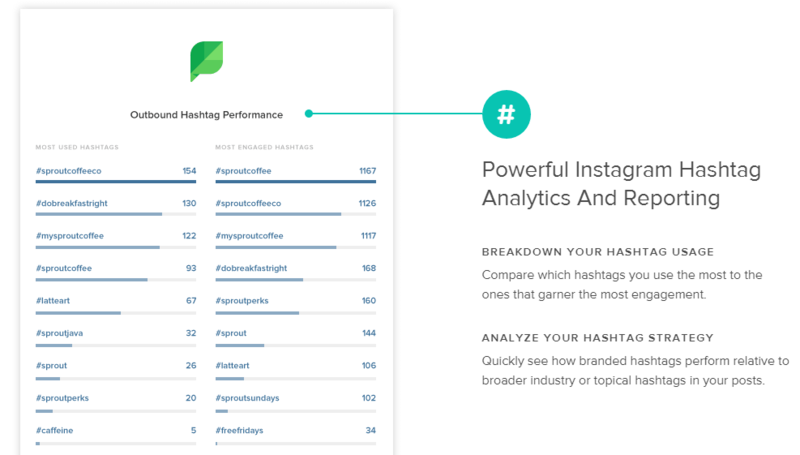 Using Sprout’s Instagram reports, you can easily find your most engaged hashtags. If you’re struggling to come up with effective hashtags, give these tools a try. 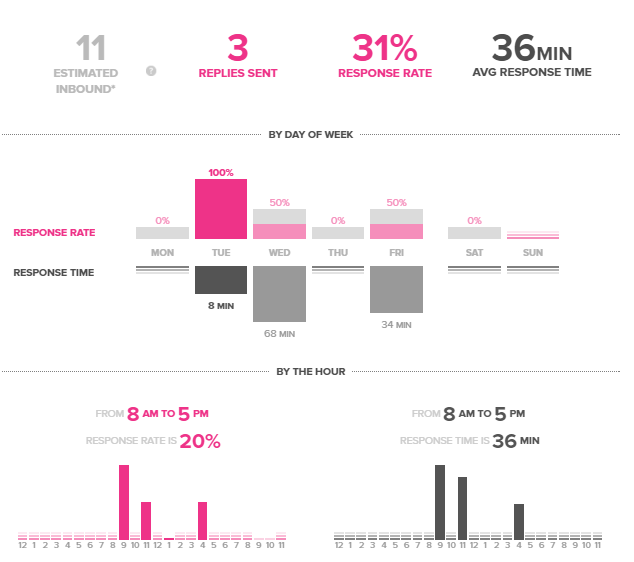 Email and phone customer support teams are usually evaluated on metrics such as their response time and rate. The goal is to provide quick and effective help to keep customers satisfied. Now that more consumers are turning to social media to voice complaints and to look for customer support, you need to measure your social customer service as well. According to a report from SalesForce Marketing Cloud, 83% of customers like or love when a business responds to them on social media. If your business offers any type of support through social media, you need a tool that will allow you to quantify your team’s engagement. It’s a good idea to set benchmarks and goals to measure your team’s performance, so you’ll have a starting point to improve upon. 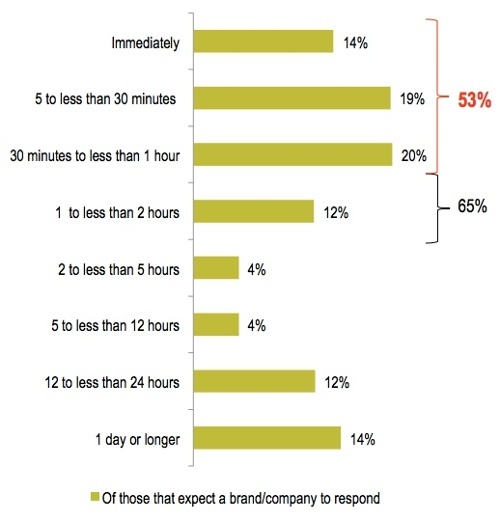 To give you an idea of where to start, Lithium Technologies found 53% of Twitter users expect brands to respond to them within an hour. Social media is the perfect platform to connect with influencers since people use Twitter, LinkedIn and Instagram to connect with others. Most brands start outreach campaigns by identifying influencers they’ve never connected with before. You should absolutely plan to build relationships with these people, but what if you could quickly identify users that already share your content? 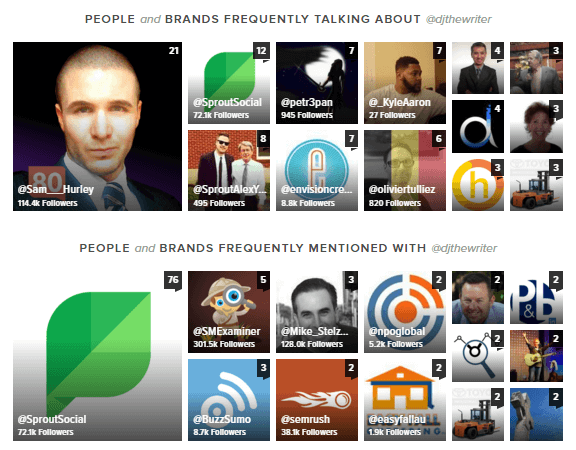 With Sprout, you can see which Twitter users currently mention you the most, as well as which accounts you’re frequently mentioned with. This data is helpful because instead of reaching out to people cold, you can start with the users that have engaged with your Tweets. They’re already familiar with you from sharing your content, which makes the initial conversation much easier. One of the worst things social media marketers can do is waste time on platforms that aren’t doing anything for their business. The shiny object syndrome can make it extremely tempting to jump from one network to the next. Before you know it, you’ll find yourself spread thin across Snapchat, Instagram, Pinterest and five other social networks. When you measure your social media efforts, you can see which platforms have the best results. Then you can focus your time where it’ll have the biggest impact. You can see which social networks are driving the most traffic to your site in Google Analytics under Acquisition & Social & Network Referrals. If you you’re spending a lot of time on a particular social network and not getting any real results, you can allocate more time toward better performing channels. On the flip side, if you’re receiving a lot of social media referrals from a platform you’re barely active on, it could be a great opportunity to ramp up your efforts. Calculating your ROI is one of the main benefits of social media measurement. If you’ve ever debated whether or not social media marketing is worth it, or had to show C-level executives why your company should invest in social media, measure your ROI. If you’re not a data-driven person, this might not sound like the most enjoyable task in the world. However, it’s not as difficult as it seems. Measuring social media ROI involves figuring out the costs you’re spending on social media marketing, and calculating the value you’re getting from your efforts. This metric is important because it puts a monetary value on social media marketing, which is something many brands mistakenly believe is impossible. We created an entire guide that explains how to measure social media ROI, but here is a quick rundown. Specify an action social media visitors have to complete such as buying a product or signing up for a free trial. Attach a monetary value to that action. Set up goal tracking in Google Analytics so you can monitor the number of actions completed. 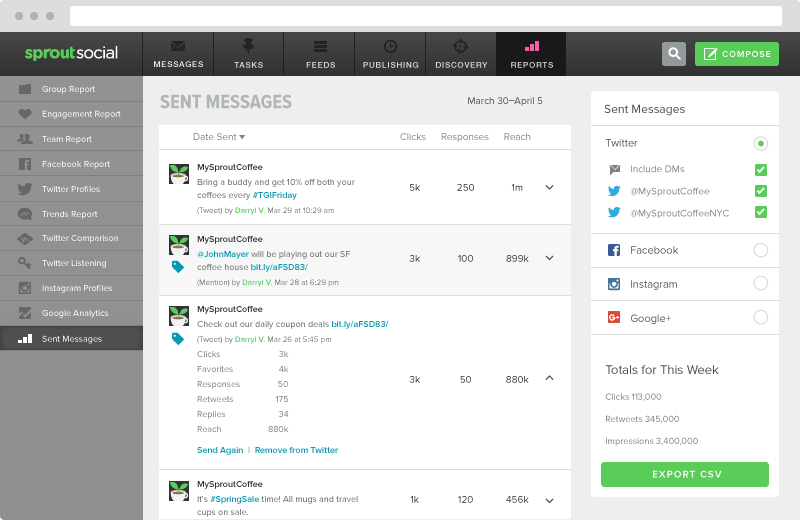 Add up all the expenses related to social media including man-hours, content, ads and tools. Subtract your expenses from the revenue you calculate in Google Analytics. A survey from Convince & Convert found 41% of companies had no idea if their social media marketing was paying off. Hopefully, more businesses will get into the habit of tracking their efforts so we can lower that stat. Social media measurement enables businesses to make better decisions. Once you know what works and what doesn’t, you can make changes to improve your strategy moving forward. There’s no reason to go into social media blind. With social media software like Sprout, you have an arsenal of data that makes it easy to spot holes in your strategy and measure the success of every campaign. Start by developing a clear and concise social media strategy. Don’t just brainstorm a plan in your mind, write it down. Your strategy should include milestones and goals you want to accomplish. Periodically review these to see if you’re on course. If it seems like you won’t meet your goals, look through your data using the information you read above, and make the necessary adjustments. As nice as it is to take a free-spirited approach to social media marketing, you eventually need to become more data-driven to maximize your results. You should track your social media marketing with the same precision and effort you use to track paid ads or landing pages. If you’re not measuring your efforts, you have no idea whether or not you’re reaching your potential, or if you’re even making money. It’s time to go beyond vanity metrics and get serious about social media measurement.